Few people would argue that exercise is good for Health but it has been a challenge to identify right kind of exercise for postmenopausal women.A new study has demonstrated that in postmenopausal women, stair climbing lowers blood pressure and builds leg strength. It is known that postmenopausal women have estrogen deficiencies and are more susceptible to vascular and muscle problems. The study has been published online in Menopause, the journal of North American Menopause Society (NAMS). High-intensity resistance training, for example, is an effective intervention for reducing age-related loss of muscle strength in postmenopausal women. 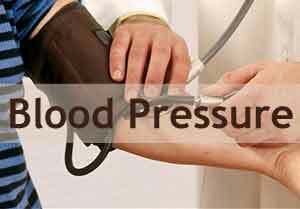 However, it also has the potential to increase blood pressure in middle-aged adults with prehypertension or hypertension. These negative effects have been minimized by combining aerobic and resistance training, but there are barriers that prevent many women from taking advantage of the benefits. These real and perceived barriers include lack of time, money, nearby fitness facilities, poor weather, and a sense of embarrassment. well for those Post Menopausal ladies it would be interesting to know about effect of Stair Climbing on their degenerating Knees, as it is known beyond doubt that climbing stairs makes osteoarthritis worse and hence to be avoided.